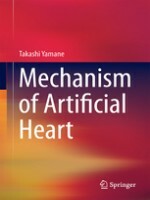 This book first describes medical devices in relation to regenerative medicine before turning to a more specific topic: artificial heart technologies. Not only the pump mechanisms but also the bearing, motor mechanisms, and materials are described, including expert information. Design methods are described to enhance hemocompatibility: main concerns are reduction of blood cell damage and protein break, as well as prevention of blood clotting. Regulatory science from R&D to clinical trials is also discussed to verify the safety and efficacy of the devices.